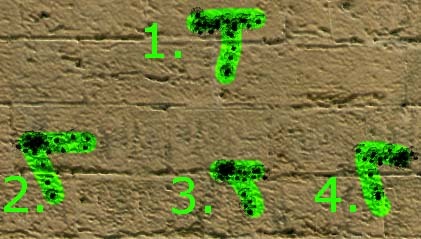 The pattens below illustrate the 2 main spray patterns formed by the M4A1. Patterns 1,3 form a T shaped pattern. Patterns 2,4 form a backwards looking 7. 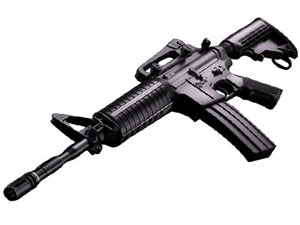 The M4A1 is the most popular Counter Terrorist weapon, besides the AWP. The addition of a removable silencer allows players to choose when they want to be stealth. The silencer can be a very powerful advantage if used correctly and is strongly recommended in situations where you are the last one alive on your team. Keep in mind that while silenced, the M4A1 has a lower rate of fire resulting in a slightly longer spray to empty the clip. With the silencer equipped, it takes 5 seconds to empty a clip, without it, 4 seconds.